It's just gone five 'o clock here in the UK, which, in games news terms, means it's time for another Ubisoft trailer. Today it's Far Cry 4 (again), and a selection of what seems like mission-based set pieces. A tiger is involved. So are explosions. 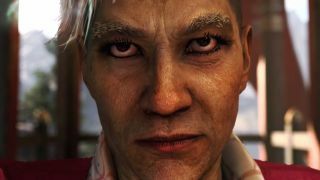 Where once a new Far Cry game could promise a stark difference in approach and tone, Far Cry 4 is clearly a child of 2012's FC3. The location is different, the animals are (in places) different, but in many other ways it seems extremely familiar. That is no bad thing, of course. Far Cry 3 was a pretty good game. As for what's distinct about the sequel, take a look at Ben's new hands-on impressions.